In December 2016 we had the pleasure to witness the tremendous growth of a unique cohort of executives deeply passionate about the power of coaching. It is a great example of the magic that can happen when people operate from a deep sense of purpose. 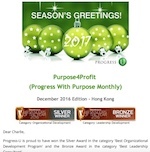 Read more how Progress-U develops coaching excellence through purpose. 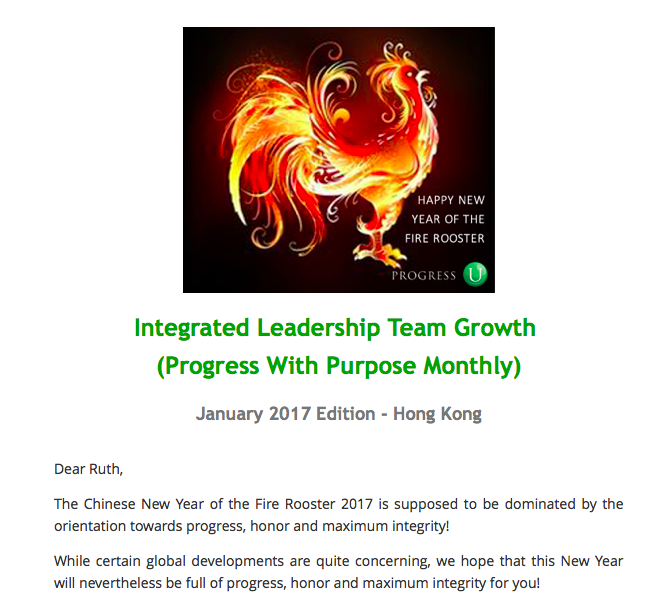 This month we further rolled out a global program on developing coaching style conversations to the Hong Kong office of a leading European branded goods company. Participants were young and highly talented HR Business Partners who learned about the coaching mindset and what it takes to conduct coaching style conversations with their business partners as well as with their direct reports. Learn more about Progress-U’s Leadership Coaching Programs.